Video Quality – 2160@30fps, 1080@30 fps. Finally, Oppo comes a big display smartphone with some exclusive features. 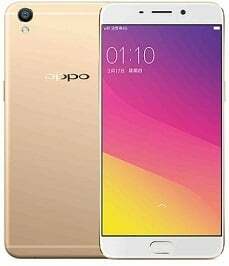 Oppo all time call their smartphone Camera phone, especially selfie phone. This device has 16 MP+8 MP Dual front camera only for the selfie. This will enable 120-degree capturing option. Under the hood, this device carried Octa Core (4×1.95 GHz ) Processors that pairs of 4 GB LPDDR3 Ram. So you can easily play any HD Game without any lagging.If you love big display smartphone that you can be bought this smartphone because of this device has 6 inches Full HD 1080p Display with corning gorilla glass v5 protection. Oppo F3 support VOOC flash charge ( Fast charging 3.0) so you can fast charge your smartphone. This device also offering you 64 GB Internal memory that you can expandable 256 GB, 4 GB RAM, 6 Inches Display, fingerprint sensor, 16 MP Rear camera, UHD 2160@30fps video capture, 4000 mAh battery and more.